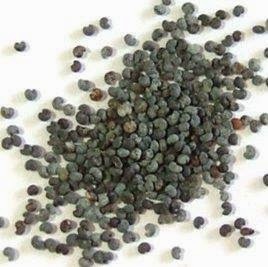 Powder 100 gm melon seeds and 100 gm poppy seeds (khus-khus). Mix and store in a clean container. Consume 1 tsp with water morning and evening. A clove of garlic is highly recommended for high blood pressure. Chew one clove of garlic first thing every morning and wash it down with water. The garlic can also be coarsely pound and swallowed with water. In the same manner coriander or fenugreek leaves can be tried they won't harm in any way and at the same time one can find out what is best suited to their system. Mix 1 tsp honey with 1 tsp ginger juice and 1 tsp cumin powder. Have twice a day.